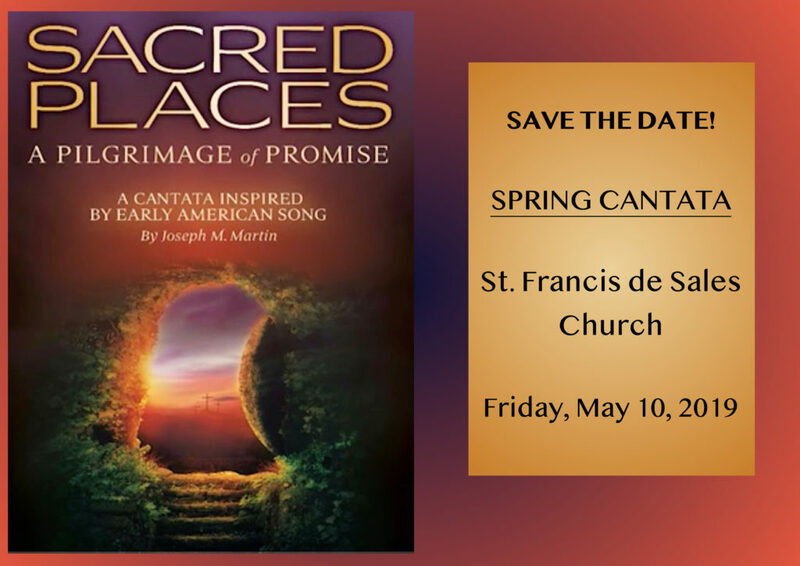 Join us on Friday, May 10 for our Spring Cantata: Sacred Places – A Pilgrimage of Promise. The cantata is inspired by early American song. 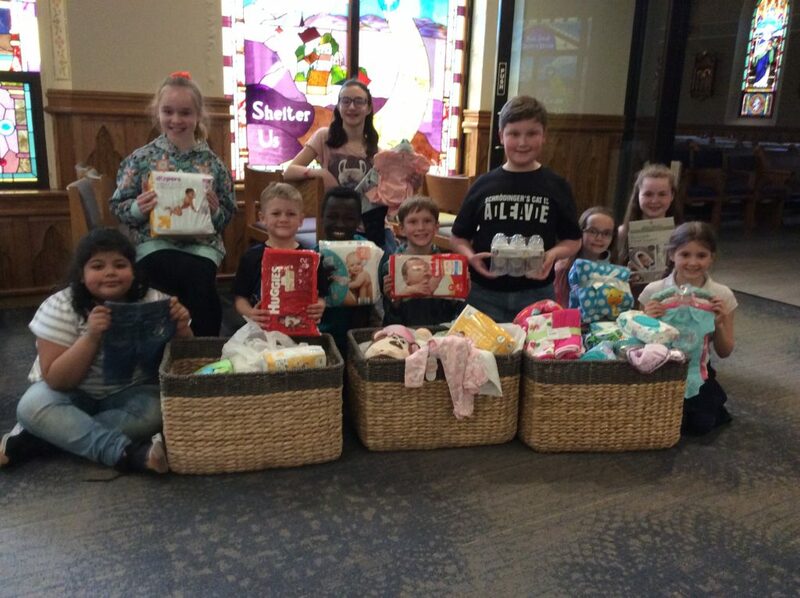 Students from St. Francis de Sales Parish School pose with some of the 75 baby items they brought in for the Works of Mercy drive at the school Mass on Wednesday, April 3. Students also brought in more the 55 packages of juice boxes and more than 70 packages of socks on previous weeks for the other Works of Mercy drives the parish held. Thank you students for helping make these Lenten drives so successful! 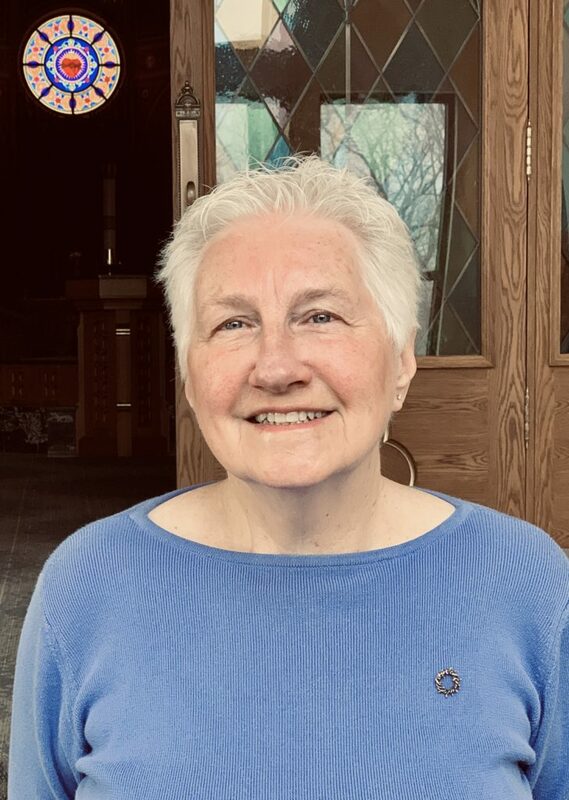 For the past 25 years, Jeanne McCarron has quietly and steadily made a difference at St. Francis de Sales parish in numerous capacities. Initially recruited by Fr. Dave Braun, Jeanne started her volunteer career as a lector and served on the Prayer and Worship committee. She is also a Eucharistic Minister and helps to run our parish’s early morning communion services. She started up a program to bring communion to nursing homes and the homebound. She is currently our parish sacristan and also heads up the Bereavement Ministry. Jeanne and her husband, Bill, have 7 children, 9 grandchildren and 3 greatgrandchildren. She spent her 45-year career as a nurse (including 27 years as surgical nurse and 6 years as a hospice nurse). As a little girl, Jeanne would accompany her mother to their church, as her mother was also the sacristan for their parish. The role of the sacristan is a “behind-the-scenes” one to help keep things organized for Masses. Here at St. Francis de Sales, Jeanne refurbishes the hosts and wine, maintains the sanctuary candle, launders the linens, towels, and purificators, straightens out the cassocks, makes sure that the priests’ microphones have fresh batteries, and generally keeps things in order in the sacristy. What’s the best thing about that? “It’s a holy place. So very calm and peaceful”, says Jeanne. Jeanne was instrumental in starting N.O.A.H. at St. Francis de Sales. Named after her son, Noah, the acronym stands for No One Alone at Home. Now run by parishioner Lucy Leahy, the group has developed a schedule with volunteers to bring communion to people who are homebound. Along with Sylvia Navin, Jeanne also works with other local parishes to cover Lakeland Nursing Home so that residents can receive communion on a regular basis. In addition, she started another project, S.A.M. (Start A Movement) to care for the homeless which was named in honor of her other son, Sam. Thank you, Jeanne, for your dedication and your compassionate spirit. Your efforts have made trying times easier for countless people. We are very blessed to have your time and talent here at St. Francis de Sales! Wisconsin School Choice information night is Sunday, March 10, after the 5 p.m. Mass. There are some opportunities for children to get a state funded private education at our Catholic School. To hear more about the qualification process, come to the meeting on March 10 or make an appointment with Principal Eric Gallagher, 262-248-2778 or 847-344-9821. 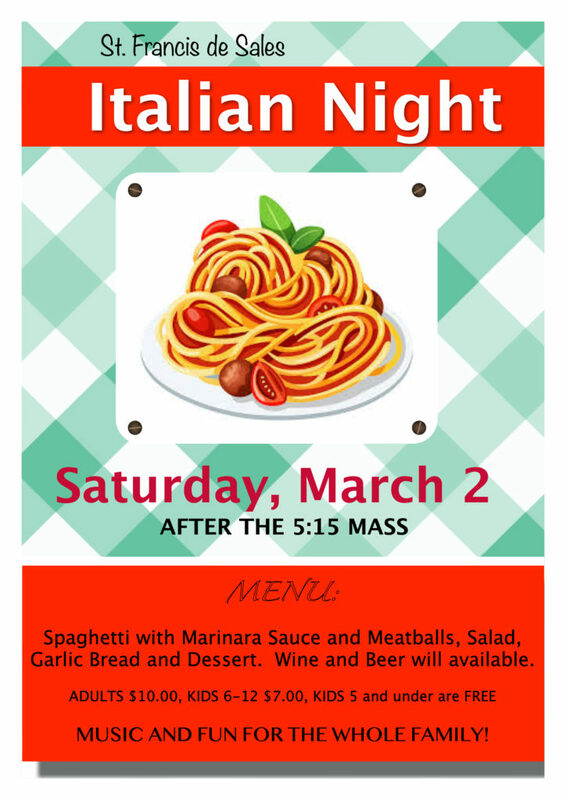 Come and join us for Italian Night on March 2. If you would like to volunteer to help with this fun event, here is a link to sign up! There will be no Adoration on Tuesday, February 12, due to the inclement weather. Make a safe and secure donation to St. Francis – tax deductible and easier than ever!